I admit it. I LOVE Pinterest. I’ve always saved tear sheets from magazines for decorating, gardening and craft projects, dream travel destinations, recipes to try and even favorite hairstyles. I have binders full of them. So, as you can imagine, I was thrilled when I was invited to join Pinterest by a blogger I follow last fall. But, it wasn’t until I was bed-ridden following ankle surgery this winter that I truly got hooked. I spent hours pinning away. Since getting back on my feet, I’ve even tried a few of the ideas and projects that I’ve found on other peoples’ boards. 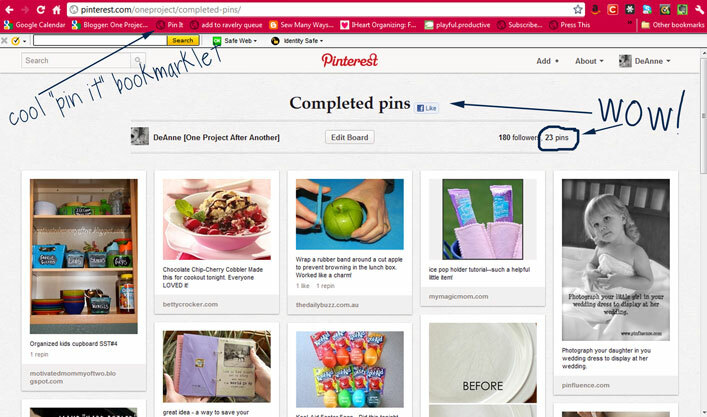 In fact, I started a new board called “Completed Pins” to keep track of them! For some pins, I just want to see the photo as a quick reminder or inspiration. For other pins, I want to click through and read the blog post or web article so that I can learn more about it or even try it for myself. So, generally, I click on the pin to find the content and either repin from that one or I pin from the source itself with the “Pin It” Bookmarklet that I installed on my browser bookmark bar. I’ve been frustrated many times when I’ve clicked through and haven’t been able to find the content. I usually won’t repin those and move along to other pins of interest. 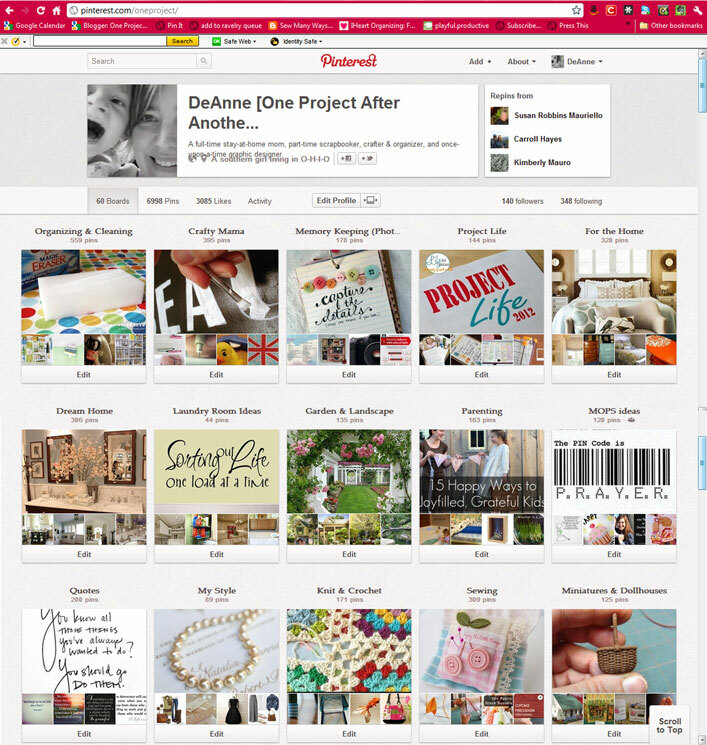 I came across a pin from crafting-crazy.com about their plan to clean up their Pinterest boards. It’s a great idea and I thought I would pass it along!